Philosopher, naturalist and rugged individualist, Thoreau has inspired generations of readers to think for themselves and to find meaning and beauty in nature. This representative sampling includes five of his most frequently read and cited essays: "On the Duty of Civil Disobedience" (1849), "Life without Principle" (1863), "Slavery in Massachusetts" (1854), "A Plea for Captain John Brown" (1869) and "Walking" (1862). 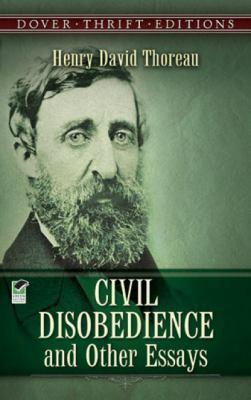 Reprinted from standard editions.Thoreau, Henry David is the author of 'Civil Disobedience and Other Essays', published 1993 under ISBN 9780486275635 and ISBN 0486275639. Loading marketplace prices 218 copies from $0.01 How does the rental process work?